The Akrama Sakrama scheme, which seeks to regularise unauthorized constructions and developments, has been one of the most contentious civic issues in Bengaluru. The scheme was initiated by the Karnataka Town and Country Planning Act and Certain Other Laws (Amendment) Act, 2004. This Act amended the Karnataka Town and Country Planning Act, 1961, the Karnataka Municipal Corporations Act, 1976 and the Karnataka Municipalities Act, 1964. After this amendment was stayed by the Karnataka High Court in 2007, having been found to be prima facie against constructional provisions, the state extended the scheme by passing amendments in 2009 and 2013. To implement the scheme, the Karnataka Town and Country Planning (Regularisation of unauthorized Development or Constructions) Rules, 2014 was subsequently notified. Aggrieved by the government’s efforts to legalise illegal constructions, the Citizens Forum for Mangalore Development filed a writ petition in the Karnataka High Court challenging the constitutionality of these Amendments and Rules. 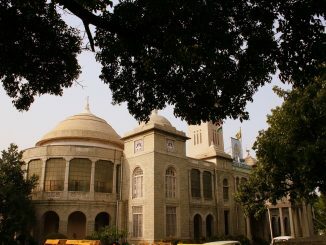 In separate petitions, the scheme was also challenged by other citizens’ groups including Bengaluru–based initiatives like Citizens Action Forum and Namma Bengaluru Foundation. The case came up for hearing of arguments on 2nd November 2016. The hearing continued on the next day and also another day in the next week. The next hearing of the case is listed for 16th November. This note summarises some of the key arguments made by the petitioners before the High Court on November 2nd, 3rd and 9th. The proceedings began with arguments by Advocate Jayna Kothari of the Centre for Law and Policy Research, the Counsel representing petitioners Citizens Forum for Mangalore Development and Citizens Action Forum. The Counsel argued that the Amendments and Rules relating to the Akrama Sakrama scheme are unconstitutional as it violated Article 14 (Right to Equality) and Article 21 (Right to Life) of the Constitution. Section 76FF(7) inserted by the amendment provides that setback violations to the extent of 50% percent in the case of residential buildings and 25% percent in case of non-residential buildings may be regularised. Similarly, Sec. 76FF(9) provides that violations of Floor Area Ratio (FAR) to the extent of 50% percent in case of residential building and 25% percent in case of non-residential building may be regularised. Lawyers argues that these provisions of the amendment were completely arbitrary and hence violated Article 14 of the Constitution, the lawyers argued. The Counsel for petitioners further questioned how these percentages were arrived at and whether there was any scientific basis for fixing them at 50% and 25% as mentioned above. The Karnataka Government in its additional statement of objections has provided some survey data regarding the extent of violations. Based on a random sample survey in 4 of the 198 wards of BBMP, it was estimated that of the 16.75 lakh sites in Bengaluru, the BBMP had been able to collect tax for 13.82 lakh sites and the remaining 2.93 lakh sites (17.49%) were estimated to be unauthorized. The government’s survey data found that of the residential properties with violations, 47.5% have violations above 50%. In case of non-residential buildings with violations, the survey found that 81.75% buildings have more than 25% violations, that is, only 18.25% buildings have violations below that limit! Given the above, the Counsel questioned how the government’s regularization scheme could solve the issue of unauthorized constructions, when half of the violations by residential buildings and more than three-fourths of violations in case of non-residential buildings are above the limits fixed by the government,. Another issue with the survey data is that it has only provided for figures in Bengaluru while the amendments are applicable for all urban areas across Karnataka. The Counsel also argued that the amendments are unconstitutional as the regularization fees have been arbitrarily fixed and reduced every year. Similarly, the period for which regularization of building violations is permitted has also kept extending. Hence, it was argued that the repeated reduction of fees and the extension of cut-off date are completely arbitrary and unconstitutional. It was pointed out that in a similar case, the repeated regularization of unauthorized developments was held to be unconstitutional by the Madras High Court in Consumer Action Group v. State of Tamil Nadu. The constitutionality of the Tamil Nadu Town and Country Planning (Amendment) Act, 1998 was initially upheld by the Supreme Court in 2000 as a one-time measure. Subsequently, the law was again amended in 2001 and 2002 to extend the cut-off dates for regularisation. The validity of these amending Acts was challenged in the Madras High Court and the court observed that the Government cannot keep extending the cut-off date for regularisation and held the amendments to be unconstitutional as they violate Articles 14 and 21. The other main argument furthered by the Counsel was that the Amendments and Rules violate the right to life guaranteed under Article 21 of the Constitution. It was argued that right to life also includes right to a clean and healthy environment. Attention was drawn to many judgments of the Supreme Court including M.C. Mehta v. Union of India, in which a regularization scheme which allowed industrial units in residential areas was stayed and the court held that land cannot be permitted to be used contrary to stipulated use. The Supreme Court had also held in Friends Colony Development Committee v. State of Orrisa that only deviations which are bona fide or arising due to any misunderstanding deserve to be condoned and deliberate deviations cannot be regularised. The Counsel argued that large scale regularization of illegal constructions as envisaged by the Akrama Sakrama scheme would infringe upon the right to a clean environment guaranteed under Article 21 of the Constitution. The Court then heard arguments from Dr Ramachandran, Counsel for a group of residents in JP Nagar who are challenging the Amendments and Rules on the ground that the regularisation fees prescribed is not reasonable. The court then heard Advocate Sajan Poovayya who appears as the Counsel for Namma Bengaluru Foundation which has filed a petition challenging the amendments. The Counsel contended that the scheme violated Article 14 of the Constitution as it creates two classes of people: those who violate the law and those who do not violate the law. And while the violators of law are rewarded, the non-violators of law are discriminated against. The Counsel also contended that the amendment is unconstitutional because it goes against the object of the parent Act, the Karnataka Town and Country Planning (KTCP) Act, 1963. The object of the KTCP Act is the planned growth and development of cities and prevention of land speculation and it was argued that the amendments do not fall within the four corners of the law. The Counsel argued that every statute has an architecture and in case of the KTCP Act it is clear that the statute seeks to give primacy to the Master Plan. Section 14 of the KTCP Act provides that every development and change in land use shall conform to the provisions of the Act and Master Plan. Section 14 A provides certain exceptions to this. However, it was contended that the amendments go completely against the purpose of the law by superseding its key provisions. It was also pointed out that the amendments have not altered the penal provisions of the KTCP Act. Section 73 of the KTCP Act prescribes the punishment for violation of Section 14. The Counsel argued that under the present provisions, whenever a citizen makes an application under 76FF for regularization of illegal constructions, there is an admission of violation of Section 14 and hence the state will have to prosecute the applicant under Section 73. The Counsel also contended that Section 76FF (10) in the Act, which states that “Regularisation of violation in respect of change of land use shall be made as far as may be in accordance with section 14A” was vague and hence, invalid. Precedence was drawn from the recent Supreme Court case Shreya Singhal v. Union of India in which it was held that a section which creates an offence which is vague must be struck down as being arbitrary and unreasonable. The Counsel also argued that the amendments led to excessive delegation. It was contended that Section 76FF (10) which gives the government the power to regularise violations in land “as far as may be in accordance with section 14A” gave the executive excessive and arbitrary powers. It was suggested that Section 14A of the KTCP Act, which requires all changes in land use to be in public interest, may now be selectively applied by the executive authorities. Another argument extended by the Counsel was that the amendments were against the spirit of Fundamental Duties prescribed by the Constitution. Article 51A (Fundamental Duties) of the Constitution provides that it is the duty of every citizen to abide by the Constitution and respect its ideals and institutions. It was argued that the amendments go against the Fundamental Duties since they encourage people to violate the law. However, Fundamental Duties, unlike Fundamental Rights, are not enforceable in courts. The Counsel also suggested that the present amendments pose an instance where the legislature knowingly violates the law to satisfy certain political constituencies and then waits for the court to strike the law down. While the arguments from the various petitioners are largely over, the response from the state is expected to begin on November 16. How does Akrama Sakrama affect you? The government did not prosecute those indicted by the Lokayukta. The officials who let the town develop erratically were let scot-free, rued the citizens. The garbage crisis has become such an important issue that everyone has something to say. How did the court react when a citizen wanted to express her views? Most BBMP councillors will not be able to stand for election in their current ward under the new reservation rules. Here is the list of old, draft and new reservation categories. I have property in Mangaluru and currently stuck due to this ongoing legal proceedings. My question is why can’t we separate out the exceptions (over 50% deviation) and allow other to go through the scheme. I learned that our society is not getting the clearance due to a 5% deviation from the plan and most of it is due to technical requirements to support a typical building structure etc. We apartment owners are suffering for last almost 9 years and unable to sell our property due to this hurdle. Can the forums contesting the government be sympathetic to we the owners who have put in our hard earned money and waiting for clearance from the municipality for no fault of our? Those people who have violated/responsible are not feeling the pinch at all!!! In addition for no fault of ours we are paying double the property tax for several year now. I would greatly appreciate if the perspectives of the honest tax paying owners of those apartments also considered and a speedy closure of the case in the courts appropriately?